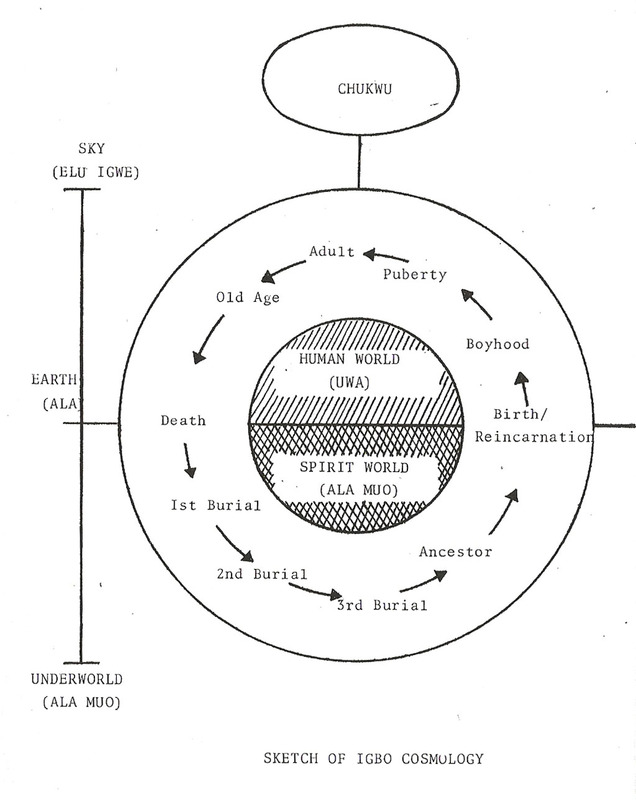 During Uga Chi (the second age), death came to the world for the first time. The earth dwellers then who were still able, like the Uga Aka (first age) earth dwellers, to see and speak face to face with Chukwu (God) were so perplexed and disturbed by this new phenomenon called death that they quickly conferred amongst themselves and elected the dog and the chameleon to meet God immediately on their behalf and tell him what they had witnessed and plead with him that whoever died must wake up. In other words, death should strictly be like sleep. It was the origin of Ula bulu onye ma ya e buna uche ya (sleep should carry one without one’s uche). 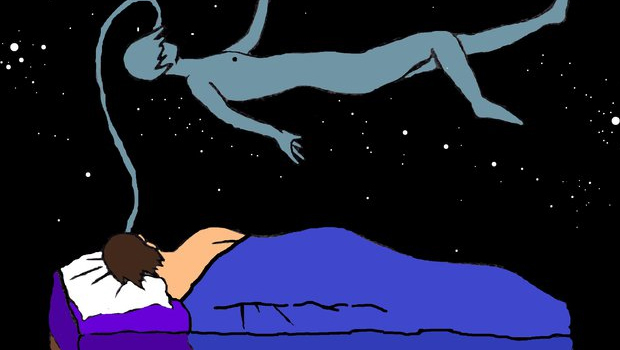 In other words, at the end of the time measured allotted to death, on the same principle as sleep is time measured, the dead will wake up and resume normal appearance, constitution and life. True to Igbo (early) addiction to dualities, two messages were sent to God,namely: That when someone dies the person should not wake up and live again; and that when someone dies, the person should wake up and live again. They gave the latter message to the fast running dog to deliver and the former message to the slow moving chameleon to deliver. The earth dwellers were very optimistic that the fast running dog will deliver the positive message with despatch and bring back God’s favorable grant of their request soonest. Unfortunately, the dog, enroute to God’s residence (Be Chukwu), chanced upon a woman who was pounding and extracting fresh and appetizing palm oil and descended to help itself with the palatable fresh palm oil. 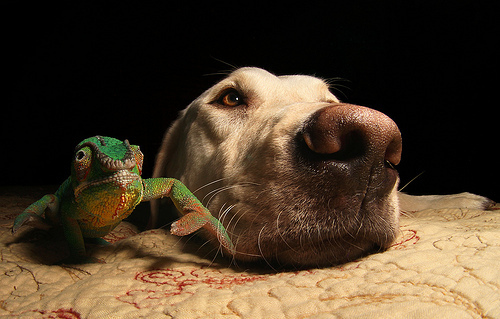 In the interim, the slow moving chameleon had crawled to God’s residence and delivered the shattering message, and by the time the dog remembered its important message and raced to God’s residence to deliver the positive message, the chameleon had already gone back to the earth dwellers with the negative grant. God said to the dog that he regretted that He could not grant the second request because the first message that got to God is the one that God grants and the grant had already been made on the negative choice. God being a merciful God, He did not want to send the dog back to earth empty handed. He informed the dog that the phenomenon of death which has now descended upon earth dwellers, among other things, carried with it ozu na ola iwi corpse, ola and iwi (i.e, corpse, staleness, and great loss) which will now condition the earth’s environment so much that the incredible physical, spiritual feats performed by the earth dwellers during the Uga Aka age would now be gradually lost to humanity at least for countless centuries to come. Particularly, one of the feats mentioned was the direct exploitation of solar energy for automatic cooking. He therefore gave Oku (fire) to the dog to send back to humanity. Direct contact with God will also fizzle out to a trickle, therefore God will, in addition to the concession, be sending many Spirits, Principalities, and intermediaries to help humanity communicate with Him. Finally, was the grant of partial waking up from death, by the way of reincarnation in this plane: Uwa Mu assa, Uwa mu asato (Mu’s world reincarnated in this place), a maximum of seven or eight times before Mu moves back to the deathless plane subject to Mu’s spiritual earning and provided Mu did not earn perpetual damnation by Ida Ikelekwum Mmuo (i.e falling into the bottomless spiritual abyss or pit).